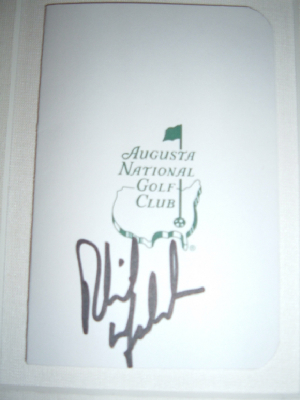 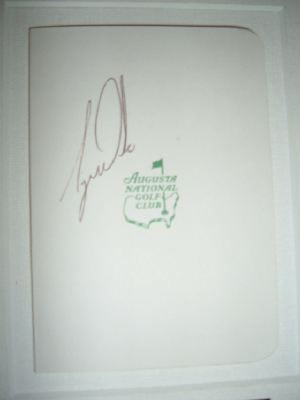 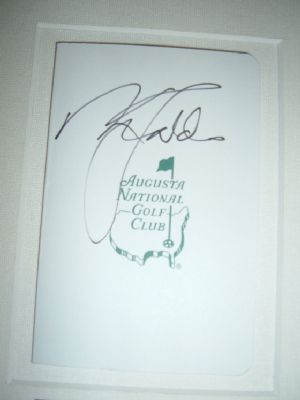 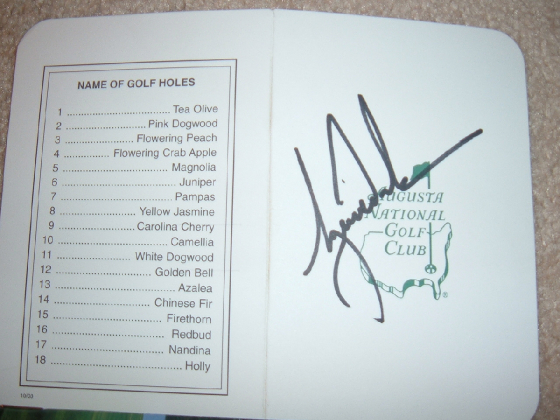 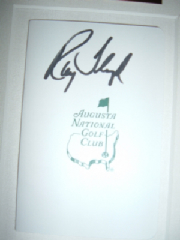 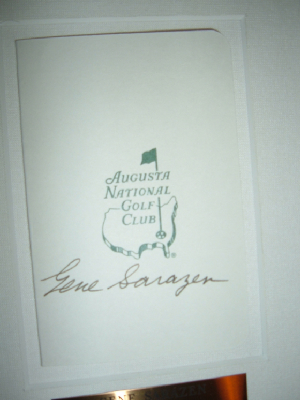 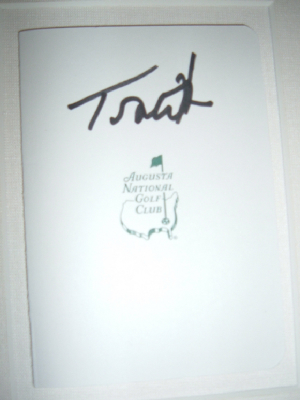 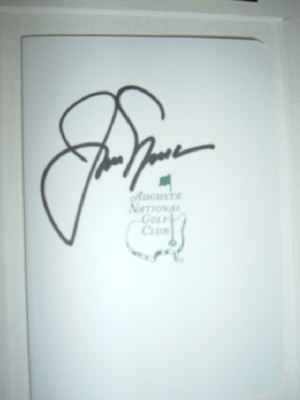 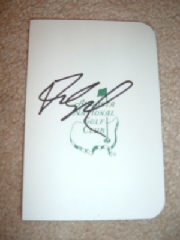 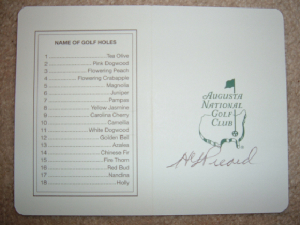 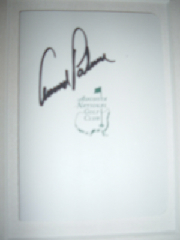 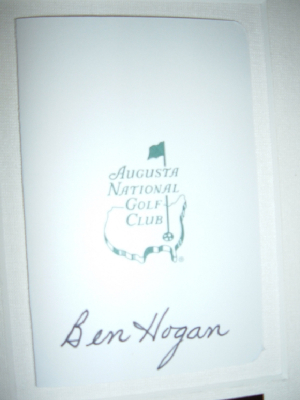 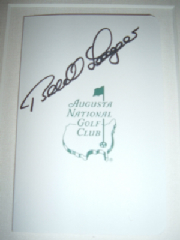 Very Rare signed scorecard signed April 6th 2006 for an Augusta National employee. 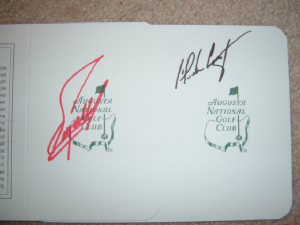 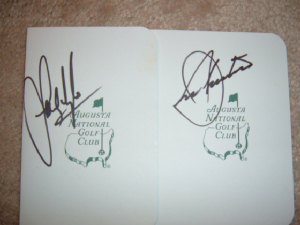 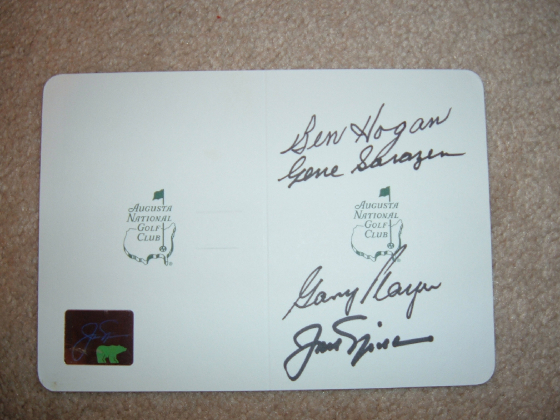 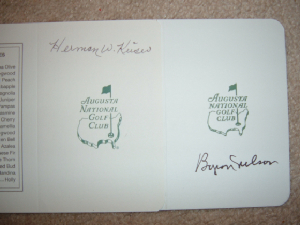 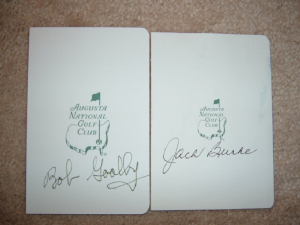 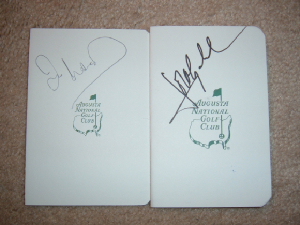 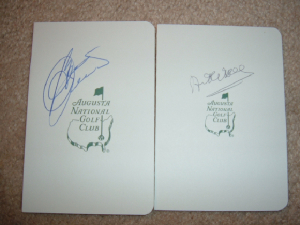 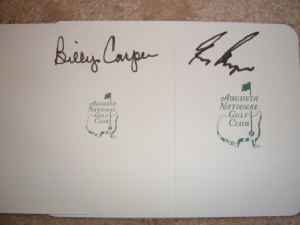 Herman Keiser Value: $100-150 Byron Nelson Value: $65-125 Mr. Nelson stopped signing Masters items a few years ago. 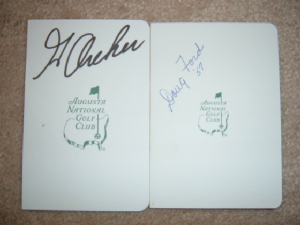 George Archer Value: $50-100 Doug Ford Value: $40-80 Mr. Archer recently passed away and Mr Ford has gotten difficult. 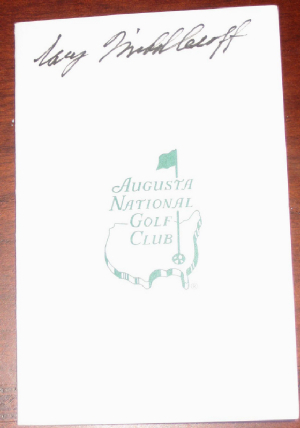 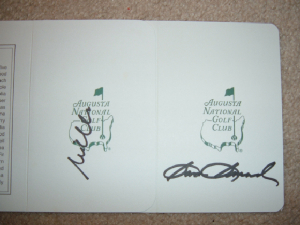 Ben Crenshaw Value: $35-75 Art Wall Value: $75-125 Mr. Crenshaw signed this card for me right after he won the 1995 Masters.